Microsoft is not completely stable with its latest video game console yet. After the release of Xbox One, consumers’ response to the console clearly pointed towards potential sales decrease. 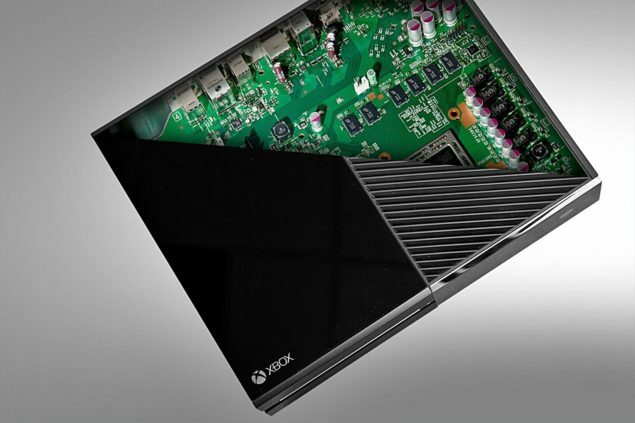 Some Xbox One hardware confines still put the company’s latest console at risk. Issues like resolution-gate and Xbox One eSRAM have made an ample number of Microsoft fans turn towards PlayStation 4 console. Microsoft has been blamed many times over past months for creating a next-gen console that doesn’t fully compete with other next-gen platforms, specifically the PlayStation 4. The console itself has taken a lot of flak from several developers and consumers. On one hand, many developers and analysts have praised the Xbox One eSRAM for keeping the console up in the market but on the other, many developers and analysts think of it as nothing but a bottleneck and the only reason that prevents the console from reaching 1080p/60fps on most next-gen games. “eSRAM is very fast memory. In general the biggest challenge that game developers are facing are memory access patterns, so while we have a lot of computation power, the memory access cost is increasing substantially over the last ten years, compared to the cost of arithmetic instructions. As long as you are in registers you are fine but as soon as you need to access memory, it becomes slower. So the challenge is to access memory in the most efficient way. Therefore memory access patterns are the most important optimization strategies. So it’s not about counting cycles but it’s about thinking how can we re-factor an algorithm so that we can access memory in a more efficient way. eSRAM is part of that. For example with a compute shader you can access cache memory (thread group shared memory) so you can re-factor your algorithm so that it uses this memory better, resulting in a huge and substantial speed ups. With the Xbox One, the introduction of eSRAM has a similar idea. Engel claim holds weight. From what Microsoft and other developer’s have been saying lately, it is quite clear that Xbox One eSRAM can be of great advantage only if developers use it cleverly and according to their needs, or else, it can also be much of a bottleneck. Crytek recently shared some techniques that it used during the development of Xbox One exclusive Ryse: Son of Rome. A few major developers have already found ways to turn Xbox One eSRAM into their best benefit. It will be interesting to see how other developers manage to handle it while developing next-gen games for the console. What do you think about Xbox One eSRAM and its part in the development of next-gen video games? Let us know in the comments below.